Let this International Day for Street Children be a reminder for all of us to think of street-involved children and children at risk of becoming street-involved. Children who are hungry, unprotected and, above all, forced to work. Every day, thousands of children in the region are forced to beg and live in deprivation. An even higher number of children are at the risk of becoming street-involved. A research supported by Save the Children and conducted by the Regional Network for Street-Involved Children shows that these children face many hardships in their everyday life. They spend 3 to 9 hours on the streets in all weather conditions, often left on their own. They seldom attend school, their parents or caretakers are generally unemployed and uneducated, and have extremely low monthly income. Their families largely live on collecting secondary raw materials, social welfare, begging or street sale. A large number of street-involved children are members of the Roma and other minorities, and they have been discriminated against since birth. These children come from dysfunctional families living in poverty, informal settlements, many of whom are legally invisible, left on their own and exposed to multiple forms of exploitation. Ten years ago, Save the Children joined the efforts of non-governmental organisations and institutions seeking quality solutions for thousands of boys and girls exposed to harmful work and living on the streets. Drop-in centres for street-involved children and children at risk have turned out to be one of the best solutions for these children. 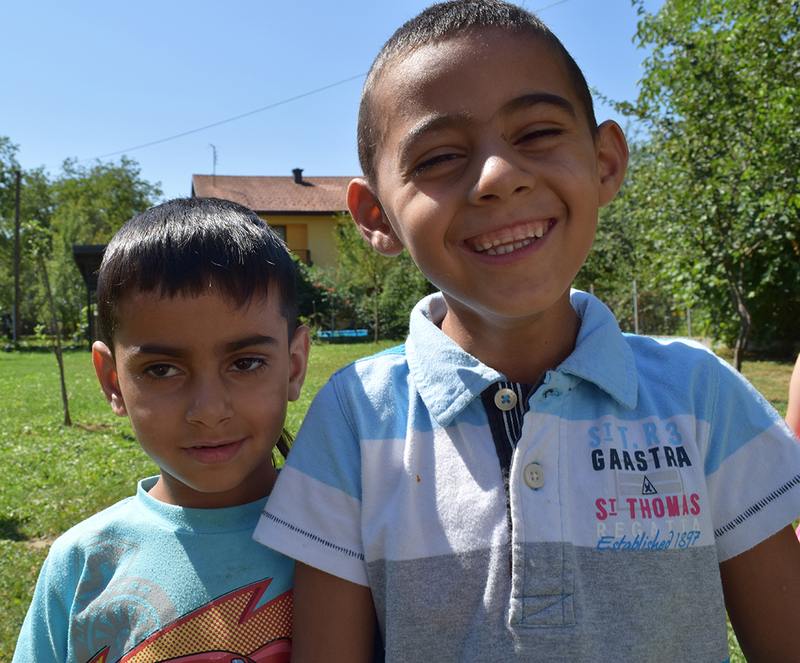 Save the Children has helped strengthen this support model and reach out to local referral mechanisms in Bosnia and Herzegovina, Montenegro and Serbia. Save the Children currently supports seven drop-in centres in Banja Luka, Bihac, Bijeljina, Brcko and Mostar in BiH, and Niksic and Podgorica in Montenegro. "Drop-in centres offer children safety and the reassurance that someone does take care of their well-being. Children come to these centres on a voluntary basis to get a meal, have their hygienic needs met, get help with school work but also spend some time playing with their peers", said Andrea Zeravcic, Director of Save the Children. "In their work, day care centres focus on the quality of services, within which we also work with parents developing their parental skills and thus ensure long-lasting impact of our services on the entire family. Special attention is paid to promoting the work of drop-in centres, where we help local governments and community members understand the benefits of these centres and ensure their long-term sustainability", added Ms. Zeravcic. The City of Banja Luka and the Social Welfare Centre in Banja Luka have been actively involved in the prevention of child begging and discrimination for over a decade now. Banja Luka was among the first local communities in the Republic of Srpska and BiH to introduce drop-in centre services for children at risk. "Currently, we have only one drop-in centre of this type in the area of the City of Banja Luka; the City’s population exceeds 200,000, and obviously the needs in this respect are much higher. The Drop-in centre takes care of children who are victims of begging or abuse, neglect or at risk for any reason. Before 2018, the services of the Drop-in Centre in Banja Luka were provided by the association "New Generation" of Banja Luka, which was partly funded by our institution; in March 2018, the services were fully taken over by the Public Institution Social Welfare Centre in Banja Luka, and the association "Nova generacija" now has the role of an accredited service provider. The City of Banja Luka has provided the premises and co-financed, with the support of Save the Children, the rehabilitation of the premises on which drop-in centre services are provided. It is noteworthy that the City of Banja Luka has increased the 2018 budget allocation for the Social Welfare Centre in Banja Luka by BAM 50,000.00, for the purposes of the Drop-in Centre. In addition to the Drop-in Centre, our institution actively cooperates with schools, where we implement different thematic preventive programs together with children", noted Dalila Bojic Rold, Director of the Social Welfare Centre in Banja Luka.